For those running a 33mm, 40mm, or 42mm carburetors with air bleeds rather than air mixture screws, don't get to the track without the jets to make the adjustments you need. Get what you need here! Max Jets for Mikuni 42 and 45mm carburetors. Use to fine tune your carburetor! Pilot jets sizes 52, 55, 57, 59, and 62. Don't get stuck at the track without the right jets for adjustments. Get what you need! Are you getting air leaks in your fuel system? Try starting with replacing your 42mm carburetor float bowl O-ring! 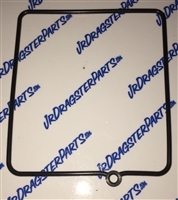 Front cover gasket for 42mm carburetor. If you've gone through your whole fuel system trying to find an air leak? Don't forget to check here! 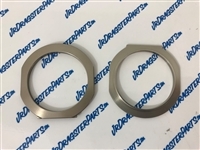 Top gasket for any 42mm carburetor top. Standard carburetor bowl plug that fits a 42mm standard bowl and some 33mm bowls. 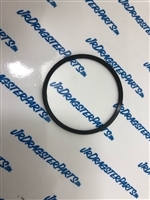 Rubber Seal for Mikuni HSR42/45 Throttle Valve. For those of you using air mixture screws rather then air jets. Comes with spring, washer, and o-ring. 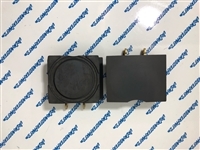 Air filter adapter for a 42mm or 45mm carburetor. Throttle butterfly for a mikuni 42mm carburetor. Idle Cam for a 42mm carburetor. If your having problems with them breaking try taking out the stop screw! Replacement 42mm carburetor jet needle. 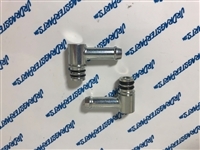 Genuine Mikuni Fuel Joint for 42/45mm carburetor. If your Mikuni Floats weigh more than 16 grams then you need new ones! Mikuni Floats for 42mm Jr Dragster alcohol carburetor. Needle and seat for 42mm or 33mm carburetor. 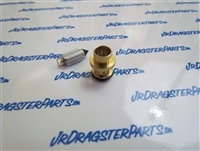 Rubber carburetor flange for 42mm carburetor. Tired of the bottom of your carburetor slipping out of the boot and costing you the round!! This is the best kit on the market for holding your carburetor in place! Fits in place of your current top holding mount and adds the second security of holding the bottom of the carburetor from slipping out of the boot. Includes an air filter adapter and all hardware needed! Easily adjust your idle to your precise launch rpm with our JDP custom carburetor top! Genuine Mikuni HSR 42/45 throttle slide.